What is an index fund or ETF? Industries around the world have been completely revolutionised by technology. Investing is no different, and international investment is no different. My grandparents held portfolios of single stocks. My parents reduced the risk of these by holding these stocks in mutual funds. But now Exchange Traded Funds (ETFs) combine both these approaches with significant additional benefits. They represent a tsunami of disruption brought about by technological, scientific and regulatory change. This is supported by an ocean of evidence regarding the inadequate performance of active fund managers. The most effective investment strategies are often the simplest. Herein lays the effectiveness of ETFs. All they do is track the performance of a specific index (like the FTSE 100) in order to deliver the same return as that index, less fees. This index could be country or region specific and be based on emerging, developed or fixed income markets, as well as other asset classes. In this sense, they are also known as index funds, or simply ‘passive’ investments because they don’t try to do anything else. This can be very cheap – for many ETFs, the annual fee can be well below 0.25% a year. 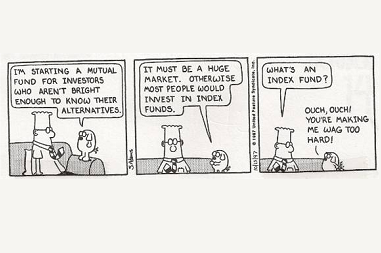 An ‘active’ fund manager in contrast, will try to outperform an index using their knowledge, resource and experience. Compared to ETFs, active managers are more expensive, as they charge a management fee. This is normally in the region of 1.5-2% a year. However, the evidence proves that very few active fund managers can outperform an index consistently, particularly when you take into account both human behaviour (of the manager or investor) and their fees. ETFs afford investors the diversification of funds, and the speed and simplicity of a share. The index gives you access to a portfolio of companies (shares), bonds or other asset types (such as commodities or property) as with many investment funds, BUT can be bought and sold on a stock exchange, like a single share. That’s amazing news for normal investors: you can now instantly buy and sell, with very low cost, exposure to the whole of a market. 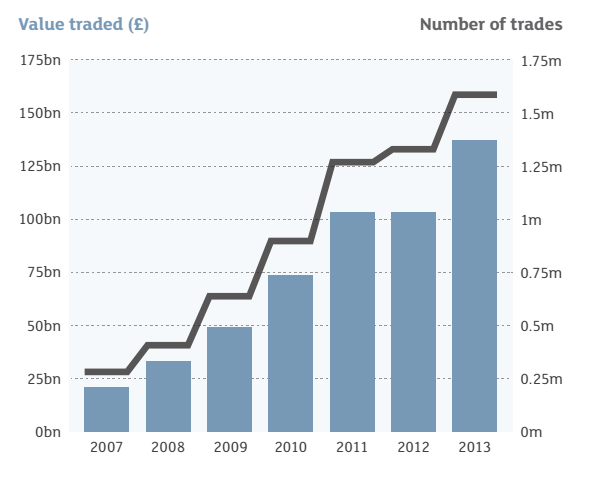 It is no surprise that ETFs are now sweeping away traditional ways of investing. The truth is that with a handful of ETFs, bought at low cost either on an execution only or advised basis, a private individual can now gain low cost exposure to all the major asset classes and thereby reduce the risk and improve the returns – from any portfolio. Significantly lower costs than other types of investment funds. They are easy to buy/sell throughout the day. Many leading ETFs are extremely liquid. Most ETFs provide full daily visibility as to exactly which securities are held and exactly how much is invested in each. ETFs cover most major regions, countries and sectors of equities market. There is also an extensive choice of fixed income ETFs and many other asset categories. Due to their wide diversification, ETFs can enable investors to spread the risk of individual companies, entire sectors or even whole countries. There are many ETF providers, including the well-known firms below. My own portfolio is packed full of ETFs. I use a core of trackers but I still sometimes layer it with some specialist managers in niche markets where the use of trackers may prove difficult. This is an important point: it’s too simple to say ‘ETFs good - Mutual Funds bad’. It’s more a case of choosing the right tool for the job. And as an investment professional, I am always careful to choose the right tool. I’ll follow up with more posts on why exactly I so strongly believe in index funds and why I tell my friends to use them for the bulk of their investing. But in short it is because the evidence supports their use. Index tracking ETFs work for me and they will work for you. Of course they aren’t the answer to all investing problems. By far, the biggest challenge for expat investors is to start with the right foundations, by selecting an investment platform that is cheap and flexible. Once that’s sorted, building portfolios with ETFs is the simplest and cheapest way of capturing key trends and markets in an easy, efficient and diversified manner. Ignore these developments at your peril and expect to hear a lot more about these moving forwards! Learn more about ETFs and index investing by downloading the London Stock Exchange’s Guide to ETFs from our knowledge library.